Be stunned by some of India’s finest cultural and architectural sights on this remarkable 12-day Golden Triangle tour with Rajasthan through Delhi, Agra, Ranthambore, Jaipur, Udaipur and Jodhpur. This 11 nights and 12 days Golden Triangle tour with Rajasthan is an Indian wildlife and cultural holiday that has been exclusively and extensively choreographed for buffs of culture, history and photography. The world knows it that India is among the first inhabited countries of the world and hence owns a rich natural, historical and cultural heritage. Set out on this vacation to get an untainted feel of some of the tourist places across Golden Triangle and Rajasthan. The journey begins with a visit to historical inheritances of Delhi. Proceeding to Agra, visiting the Taj Mahal around sunset and taking some good pictures of the same is surely not to be missed. Moving on to places to visit in Rajasthan, revel in the sumptuous conventions of royalty in Jaipur, Jodhpur and Udaipur. Finally, reach Delhi for the return flight. 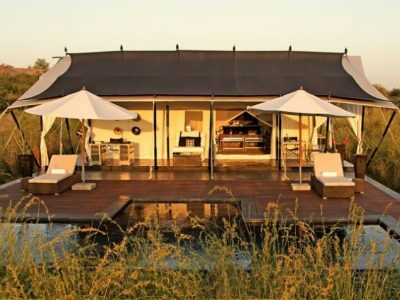 However, instead of confining your India visit only to the cultural spots, going for an Indian wildlife holiday can make your vacation much more exciting. In fact, there are over 10 wildlife reserves in Rajasthan itself among which Ranthambore and Sariska top the list. This 12 Days Golden Triangle tour with Rajasthan has been carefully designed to give you a taste of the exciting, endless possibilities and can be tailored to suit your exact preferences. Arrive at the Delhi International Airport where our travel representative awaits your landing and extends a warm welcome into a charming country of lovely people. You will be transferred comfortably to your hotel and also helped with the check-in process. This evening is kept free to be spent at your own leisure. Relax and unwind yourself of the travel exertion or indulge in recreational and fun activities at the hotel. Relish a tempting complimentary breakfast at the hotel and then get ready for a city tour of Delhi. The pre-historic and ethnic ambience of the streets of Old Delhi is something not to be missed during your Golden Triangle & Rajasthan holidays. The bustling markets of Chandni Chowk are a true shopper’s paradise and a great place to take home some genuinely Indian stuff. Also visit Jama Masjid, the oldest mosque in India. Soon it is time for lunch after which you will be driven to Rashtrapati Bhavan, India Gate and Old Secretariat. Thereafter, pay a visit to Qutub Minar and Humanyu’s Tomb. All these structures have been endowed to the city by the historical era and give an ideal peak into the culture of the country in those times. In the morning, travel by train to Agra- the City of Palaces. Upon arrival in Agra, transfer and check-in to the hotel is assisted by our travel representative. Freshen yourself up and get ready to embark on the city tour of Agra. Visit the Tomb of Itimad-ud-Daulah also known by the name of Baby Taj, and the splendid Agra Fort. Around late afternoon, it is time to kick off the most awaited part of your 10 Days+ Best of Rajasthan tour itinerary– a visit to the Taj Mahal. Words are not enough to describe the beauty and grandeur of the legendary monument. It was commissioned by Mughal Emperor Shah Jahan in the love and memory of his dearest wife Mumtaz Mahal. Constructed in the 17th century, Taj Mahal is one of the Seven Wonders of the World and also a UNESCO World Heritage Site. Today embark on a journey to Ranthambore as part of your Golden Triangle tour with Rajasthan. 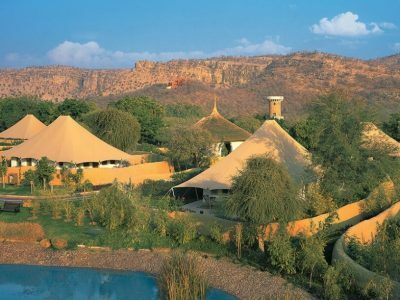 Upon your arrival, you will be driven to the pristine Ranthambore National Park. 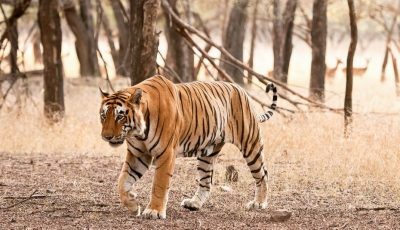 You may also click on this same link to know when would be the best time to see tigers at Ranthambore, the safari timings, or do get in touch with us for some Ranthambore safari booking tips (such as the Best zone in Ranthambore). The Ranthambore tiger reserve is one of the largest national parks in Northern India and is hugely popular for the preservation of tigers. 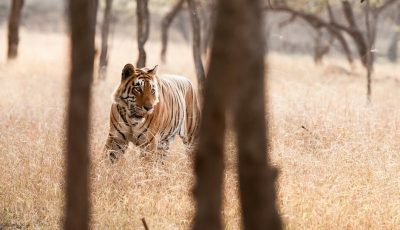 It is the one of the first national parks where Project Tiger, a revival project for the dwindling population of Bengal tigers, was started in 1973. Spread across 1334 sq. km. the park encompasses the adjoining forests of Kaila Devi and Man Singh Sanctuary. Out here you will have the opportunity to explore this magnificent wildlife sanctuary on morning and afternoon game drives. This day demands an early start as you will be travelling overland to Jaipur. Driving through the countryside, you will reach your destination in about 6 hours. During the drive, take a halt at Fatehpur Sikri, the once-upon-a-time capital city of Mughal Empire which was later abandoned. A UNESCO World Heritage Site, it is an alluring spot and often combined with a visit to Agra. Check-in at your hotel upon arrival in Jaipur. We have kept remaining part of the day free at leisure so that you can unwind yourself of the frazzle of a long journey. You can also stroll around the resort and explore the recreation avenues. Relish an appetizing breakfast and get ready for a fun packed day. Sightseeing in Jaipur is another most awaited part of tourists on any India Rajasthan tour. First on the list of sightseeing spots is Amer Fort. Adorned by structures of red sandstone and white marble, the lavish palace is set on four levels. Situated on a high hill, it is a popular destination among travellers to Jaipur. After Amer Fort, proceed for lunch at a restaurant. Post that, you will be driven to other spots worth visiting in Jaipur such as City Palace, the Observatory Tower and Hawa Mahal. In the evening, explore the markets of Jaipur, a true paradise for shopping freaks and take home some authentic Rajasthani stuff for yourself as well as friends and family. 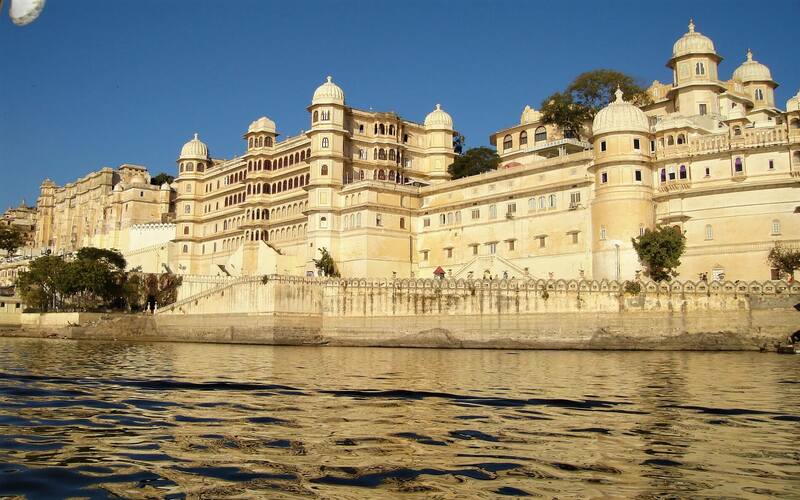 This morning, catch your flight to Udaipur on your Delhi Agra Jaipur Jodhpur Udaipur tour. At the Udaipur airport, arrangements of your transfer to the hotel have already been made. Check-in at the hotel and freshen yourself up. Around late afternoon, it is time to enjoy a boat cruise on the pristine waters of Pichola Lake. The beauty of the lake is magnified further by the white marble palace in the backdrop. This day has been reserved for sightseeing excursion in Udaipur. A city of immense historical importance, Udaipur is renowned for its palaces, scenically romantic locations, culture and rich history. On your city tour, visit Eklingji and Nagara Temples, two breathtakingly beautiful masterpieces of architecture. Next, visit the City Palace, which will certainly beguile you with its mastery in decorative and military architecture. Relish a scrumptious breakfast at the hotel and pack your bags to proceed for Jodhpur. The road journey of 260 kms takes about 4 to 5 hours to complete. Check-in at the hotel in Jodhpur and spend the rest of the day relaxing or indulging in recreational activities at the hotel. Wake up to an enchanting morning amidst opulent ambience of your hotel in Jodhpur. Enjoy a wholesome complimentary breakfast and get ready for an exciting excursion to Bishnoi Village. Here you will get a chance to witness the idyllic life in its true form. Engross yourself in the daily chores of villagers post which you can relax for a while. Soon it is time to leave for a private tour of the royal Mehrangarh Fort. The splendid 100 feet high fort is made up of red sandstone and rests on a high cliff in Jodhpur. It is known to be one among the best preserved forts of not only Rajasthan but entire India. Transfer to hotel for dinner. Wish goodbye to India as your vacation comes to an end and it is time to catch your flight back to home country on this day. However, we strongly recommend you to extend this Golden Triangle tour with Rajasthan and Ranthambore safari package to Bandhavgarh, Kanha and other wildlife parks of Central India, in order to make the most out of your visit to India. It will be a matter of pleasure for us to add cherries of wildlife vacation to the cake of your cultural trip to India.